Draft: 1992, Kansas City Royals, Cth rd. August 9, 2012 Cleveland Indians released LF Johnny Damon. August 3, 2012 Cleveland Indians designated LF Johnny Damon for assignment. June 6, 2012 Cleveland Indians activated LF Johnny Damon from the paternity list. May 1, 2012 Cleveland Indians selected the contract of Johnny Damon from Mahoning Valley Scrappers. April 17, 2012 Cleveland Indians signed free agent LF Johnny Damon to a minor league contract. April 17, 2012 Johnny Damon assigned to Mahoning Valley Scrappers. October 30, 2011 LF Johnny Damon elected free agency. January 31, 2011 Tampa Bay Rays signed free agent LF Johnny Damon. November 7, 2010 DH Johnny Damon elected free agency. February 22, 2010 Detroit Tigers signed free agent DH Johnny Damon. November 9, 2009 LF Johnny Damon elected free agency. 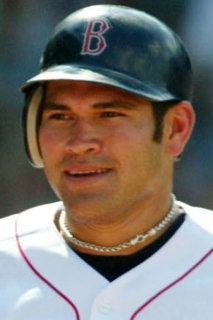 October 28, 2005 CF Johnny Damon elected free agency.